OSP Series Pneumatic Rodless Cylinders by Origa Division of Parker are double acting with adjustable end cushioning. Available features include single or double piston configuration as standard. 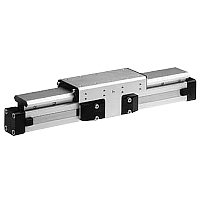 A wide range of linear guide options make this a complete linear drive which can be simply and neatly integrated into any machine layout.